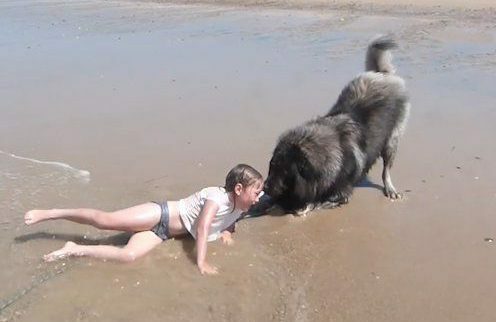 It was a sunny day in Gouville-sur-Mer, France so Matyas’s owner and his granddaughter decided to go to the beach for a swim. Matyas loves the water and swimming with the little girl so he was fully enjoying his day. 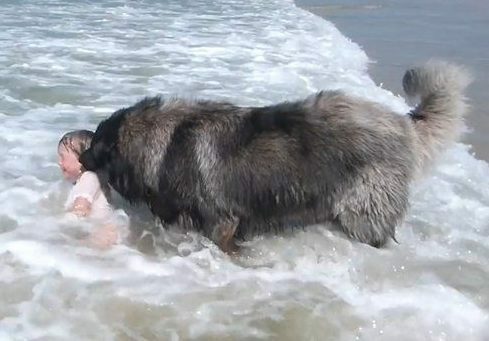 All of the sudden, a wave came, crashed over the girl and she disappeared for a few seconds. After witnessing the scene, Matyas went to panic mode, grabbed the girl’s shirt with his teeth and dragged her out of the water, to safety. The grandfather was filming the whole thing and decided to post it online. The video received many heartwarming comments. 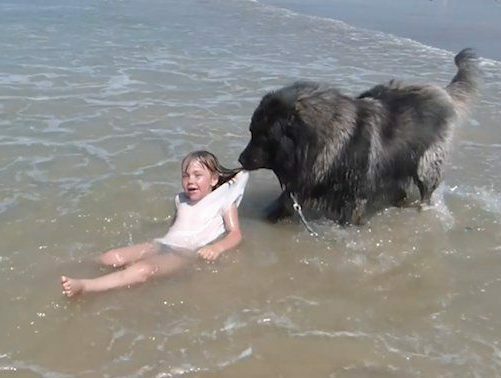 “Nice to have such a smart dog around….he watches the little girl better than any adults would” – one person wrote. ‘How clever is he as soon as the waves washed over her. He said no way your staying here! That’s why I love animals,’ commented one person on Twitter. What an amazing dog! Who wouldn’t want such a caring and loving furry friend? !